Do you remember all those years ago, when you would be applying for a job and practically everyone was telling you that you just needed a one page resume – after all you just needed to get through the screening process. Back then, one page and one page only was all you needed. Of course over the years your skills have increased, you’ve won awards or achievements, studied some more or done lots of volunteer work so now you are finding it hard to have a one page resume. So, what about that past advice? Do you still need just a one page resume? Will a one page resume still get your foot in the door? 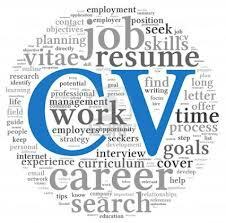 The good news is the days of a one page resume are long gone – while you will still see some job seekers with a one page resume, it is usually because they are school leavers or university graduates who have little or no experience to offer. Of course if you have been in the work force for quite some time and have more skills and experience to share then it is quite acceptable to have a resume that is two pages long. With the new year beginning lots of people – including school leavers are seeking employment, so, taking some time to *fine tune* your current resume is not a bad thing. One important piece of advice to keep in mind is that if your resume is 2 pages long, and you are sending a paper copy to an employer use two sheets of paper, don’t make the copy two sided as the employer may not think to flip it over. While flipping the paper to see if there is anything on the other side might sound like common sense it is surprising the number of people who do not automatically look at the back of pages. If you find your resume has reached 3 pages – or more – in length there are a few ways you can reduce this down to two pages. If you still have *Career objective* on your resume – you can remove that straight away. It is something that just isn’t needed – if you are applying for a job in retail your objective is to land that job in retail so it is redundant to explain why or what you want from a career in retail. If you do have carer objective featured on your resume make sure it is accurate and up to date. You do not want to send out a resume that states *I am looking to secure a position in the retail industry* if you are applying for work in a call centre or restaurant. Another way to keep the *clutter* out of your resume is to keep your skills to the essentials and remove any experience you have that is not relevant to the field you are looking to enter, or skills that are more than 20 years old. Often job seekers who have a resume of 3 or up to 5 pages – even if they are applying for an executive or senior position rarely get hired. Why? Because a resume that long is just complete overkill and is just not necessary. Interviewers do not have the time or patience to read through resumes that are too long. As a general rule – unless you have decades of experience or lots of technical expertise that you need to include – keep you resume to just 1-3 pages long. Do you have any resume shortening tips to share? Has having a long resume hurt or helped your chances of landing the job?